Guava jam and cream cheese spread between layers of freshly baked puff pastry is one of the best things ever, on earth. I used to stuff my face any time somebody dropped a box off at the office. 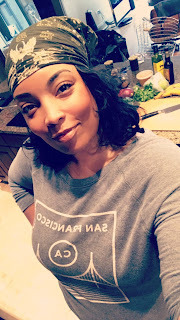 Fortunately for my own well being, I have never learned how to make those things myself and I refuse to sell myself short with store bought puff pastry. Pastelitos are definitely in the category of being so sentimental that I'd rather leave it to the pros and enjoy the real thing when I can. Sigh. I really, really miss South Florida. These aren't in any way intended to replace or mimic the real thing, I'm just stealing the guava and cream combo because it's divine and it should be in a pie. Strawberries and guava are a perfect marriage. 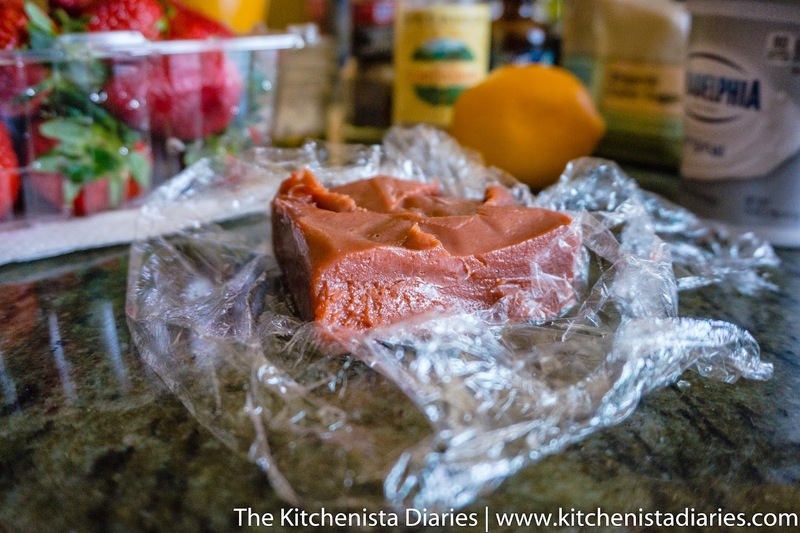 The guava paste is so sticky sweet that the strawberries didn't need to be sweetened much at all. 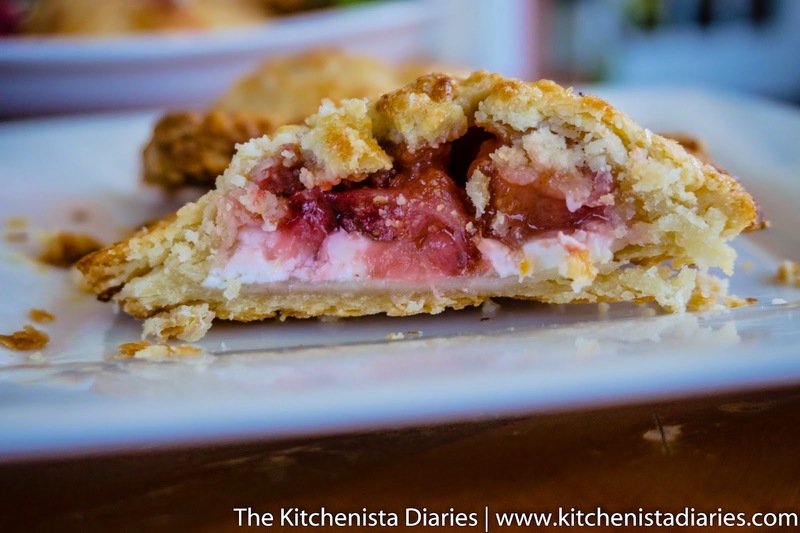 It also helped make a nice thick filling that didn't spill out too much despite macerated strawberries being pretty juicy. 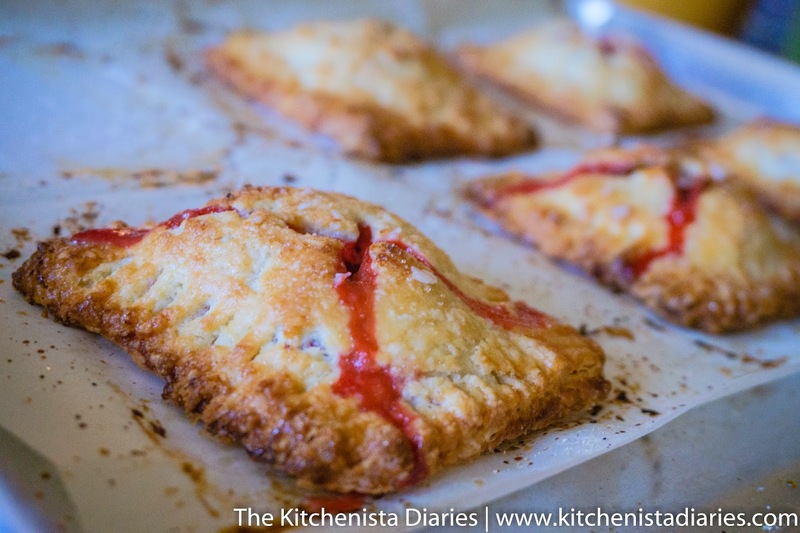 Hand pies are, for me at least, notoriously difficult compared to baking a whole pie. I have scrapped many a batch of hand pies that either fell apart as I attempted to fill and close them, or exploded inside the oven. I adjusted my method a bit this time, opting to seal two sheets of pie dough together instead of folding one over on itself. It was much easier to maneuver and allowed me to get a bit more filling in there. 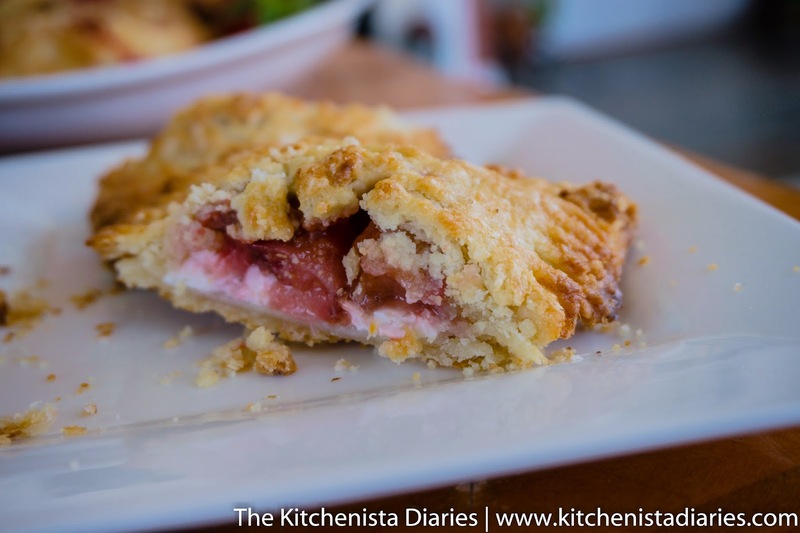 I'm all for pie crust but it was the creamy, fruity filling I really wanted to enjoy here. These are perfect for a casual dessert, but would also make a great appearance at breakfast or brunch. At any rate, don't be too intimidated if the process ends up being more challenging than you expected...it's still very much worth a shot. 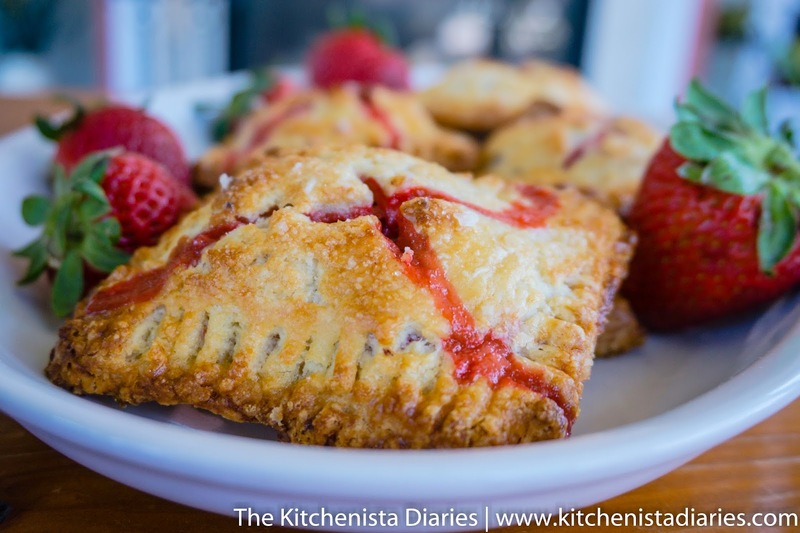 These aren't perfect by my standards, but they were yummy and I kind of like the rustic appeal of unperfectly baked pies, stained with bright red strawberry syrup. Some day I'd love to take this flavor profile further, so I'm already brainstorming as to how I'll use my leftover strawberries and guava paste. But for now, this was a dose of nostalgia and a taste of warmer, brighter days that I am very much craving. 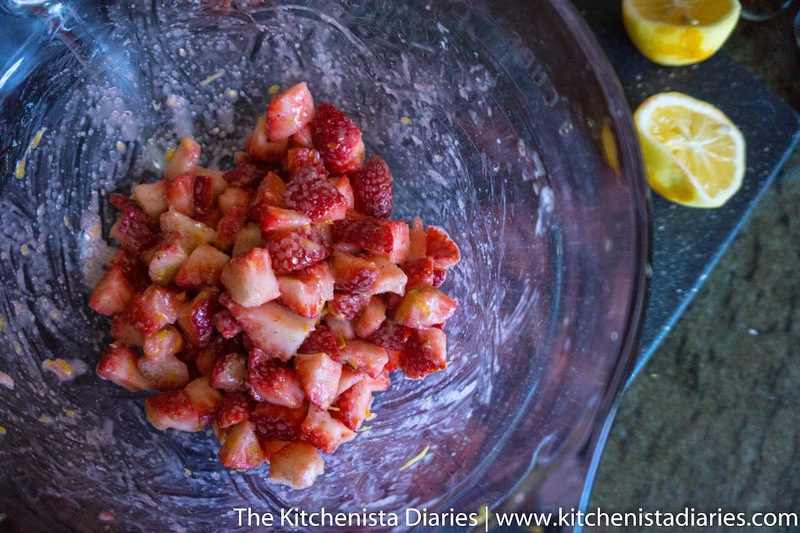 You'll want to give the strawberries a head start, so toss them with the lemon, 1 tablespoon of sugar, vanilla, cornstarch, cardamom, pepper and salt. 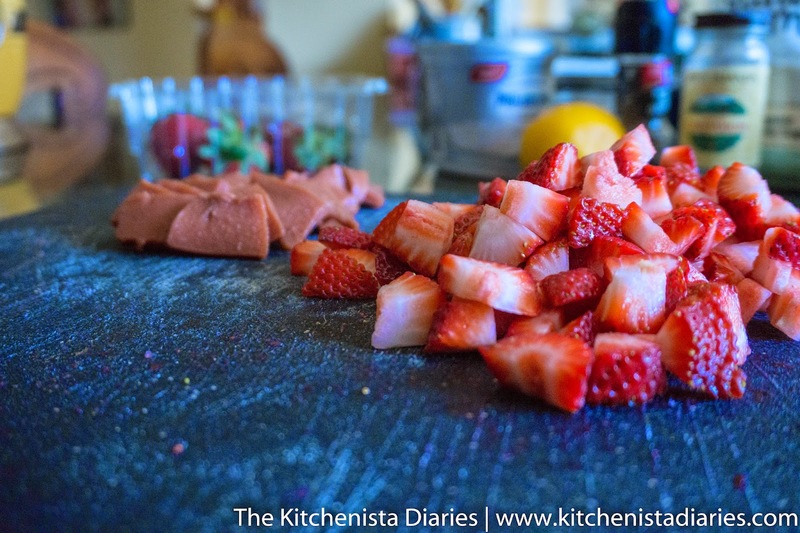 Black pepper sounds odd to add to strawberries but a hint really compliments berries. Hopefully I've trained you well and you already had a wedge of pie dough frozen, so all you need to do is let it thaw out in the fridge! 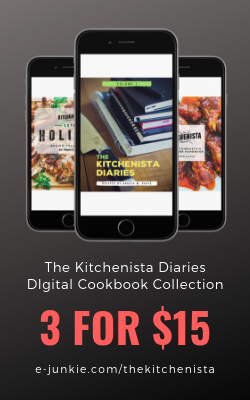 If not, head on over to my tutorials the day before you want to make these. My original recipe and the buttermilk pie crust will both work fine, or you can use your own preferred recipe. Puff pastry would probably also work here, although I can't tell you what kind of adjustments would need to be made so follow the package instructions. 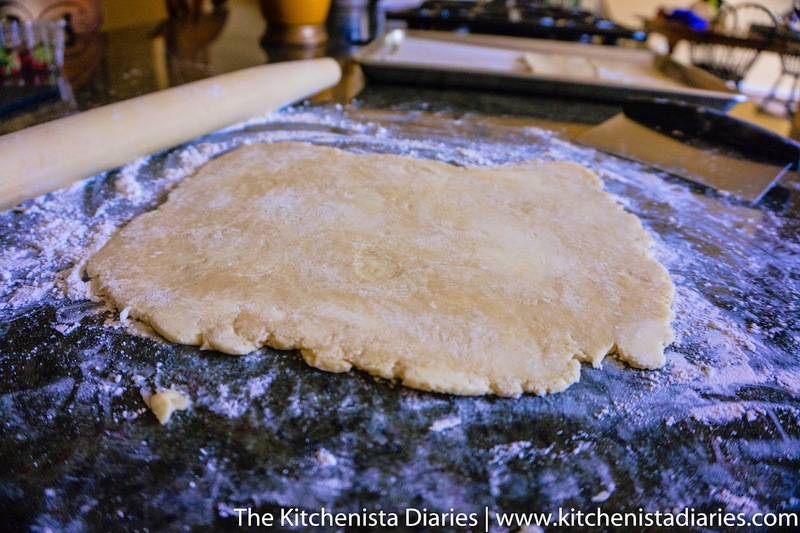 On a floured surface, roll out half your crust to 1/8" thickness, aiming for a rectangular shape. 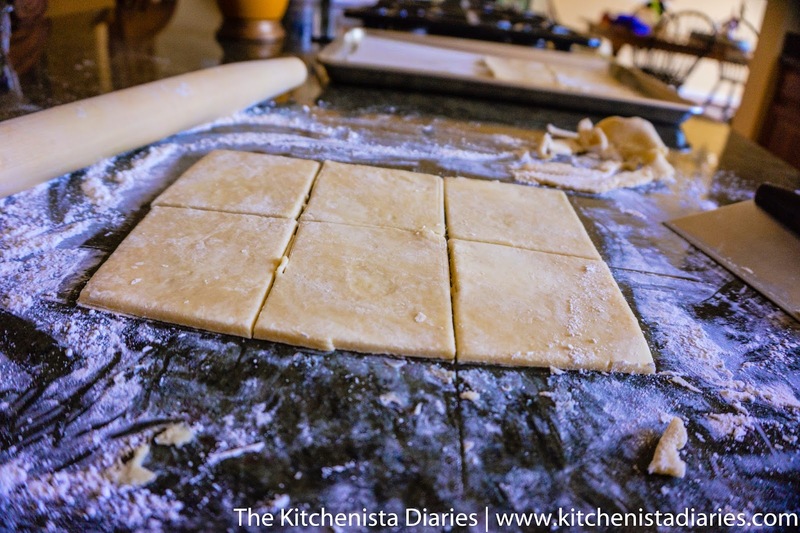 Trim the dough to end up with a rectangle that's 6" by 9" or close to it, then slice it into 6 even pieces. Once you have these 6 cut, carefully transfer them to a parchment lined baking sheet and repeat with the other half of your dough. 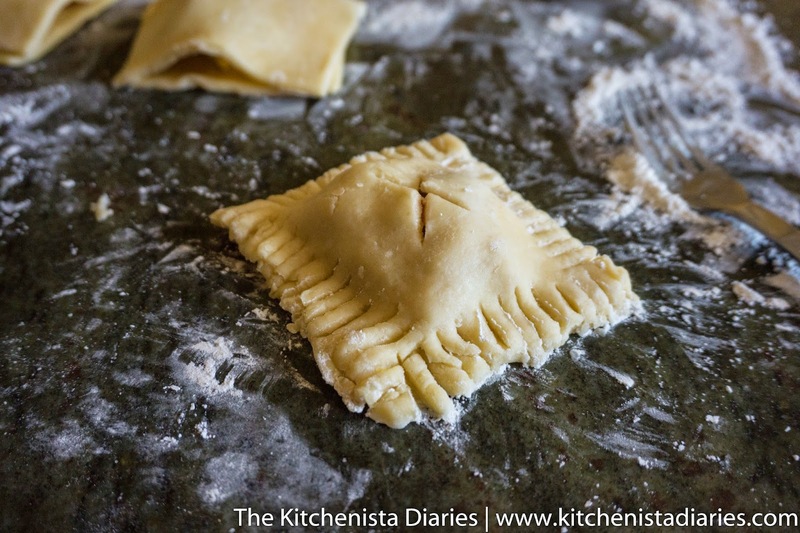 The goal is to get 12 evenly sized squares or rectangles for your hand pies. I didn't measure these, but if you're not comfortable eye balling it you could certainly use a sheet of parchment paper as a template. From here on out the dough really needs to be kept cold, so depending on how fast you can work you might want to keep half of the pie dough sheets in the fridge at a time. If the dough starts to warm up too much, it will be difficult to manage without tearing. This is the part that's a lot more of a nuisance than rolling out one big sheet for a regular pie. Take your egg wash (that's the egg beaten with water) and brush a little on the outer edge of the bottom 6 squares. This will act as a bit of glue to hold the top and bottom crusts together. 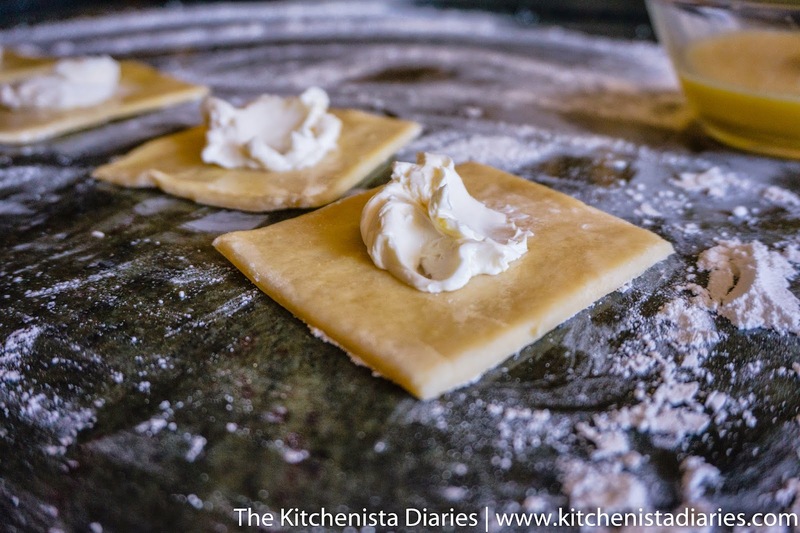 Spread a dollop of cream cheese on the center of each bottom. 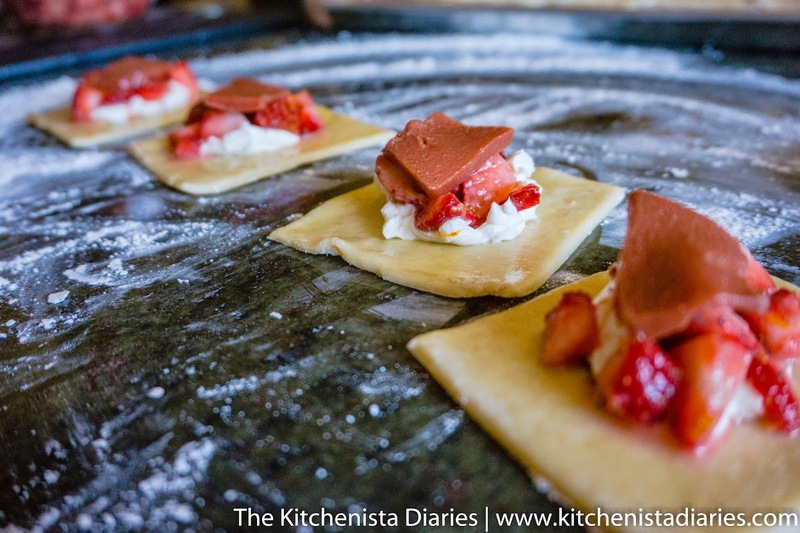 Top each sheet with a a spoonful of strawberries and slice of guava paste. I like that the cream cheese catches some of the strawberry juices. 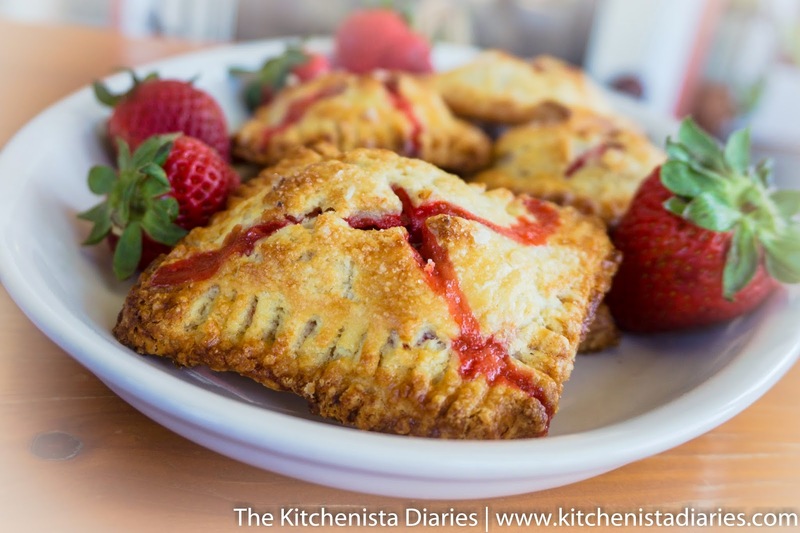 That's always the hard part with berry hand pies for me, everything gets all runny and make the pastry hard to seal up. How little or how much filling you use will depend on how big you rolled out your dough. Hint: it's much less than you think you can squeeze in there. 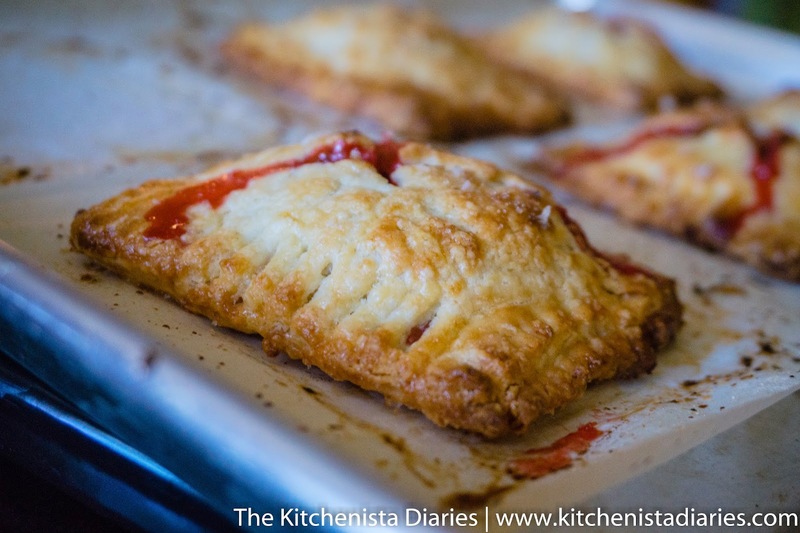 Over stuffing hand pies will result in most of the filling spilling out as they cook. They're also just harder to close even before you can bake them, so fair warning. Now it's time to close them up. Lay the tops down on each of the pie bottoms. If any of the tops are a little shorter than the bottoms, you can use your rolling pin to (carefully) roll out something a little bigger. 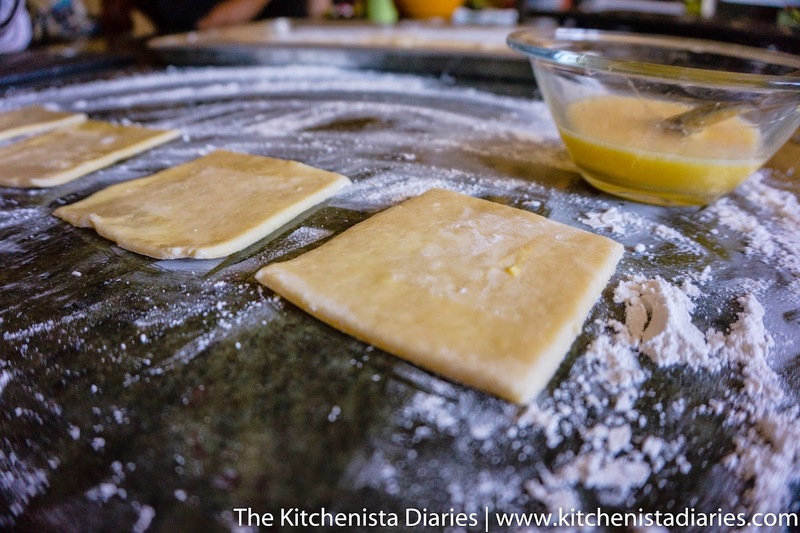 Press your fingers around the edges of the pies to seal the tops and bottoms together. 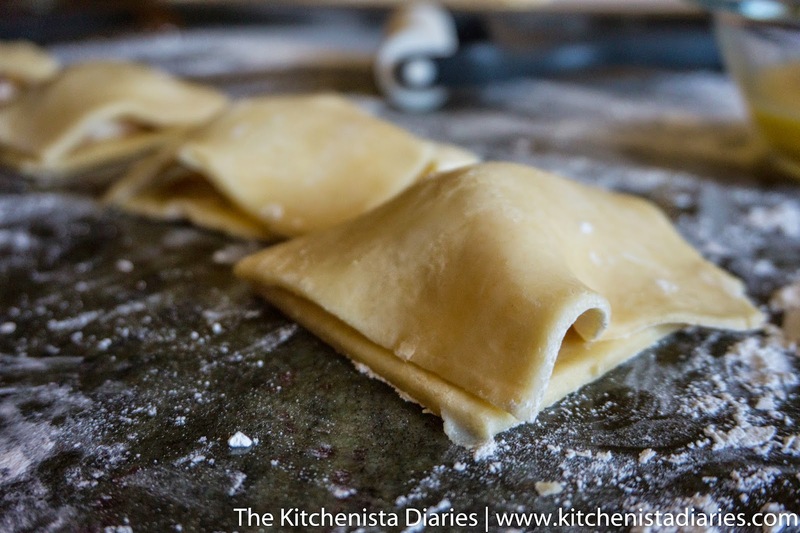 Then use a floured fork to flute the edges all the way around. Mine wasn't too pretty, but this crust puffs up quite a bit so no worries. Cut a small slit on the tops to vent. It's helpful to use your dough scraper to gently lift up the pies and transfer them back to your parchment paper lined baking sheet. Or, you could have just worked on the sheet to begin with now that I think about it. Do that. I put these back in the freezer until I was ready to bake. At the very least, let them chill out while you preheat your oven to 400° F. Just before baking, brush each pie with egg wash and sprinkle with the remaining sugar. 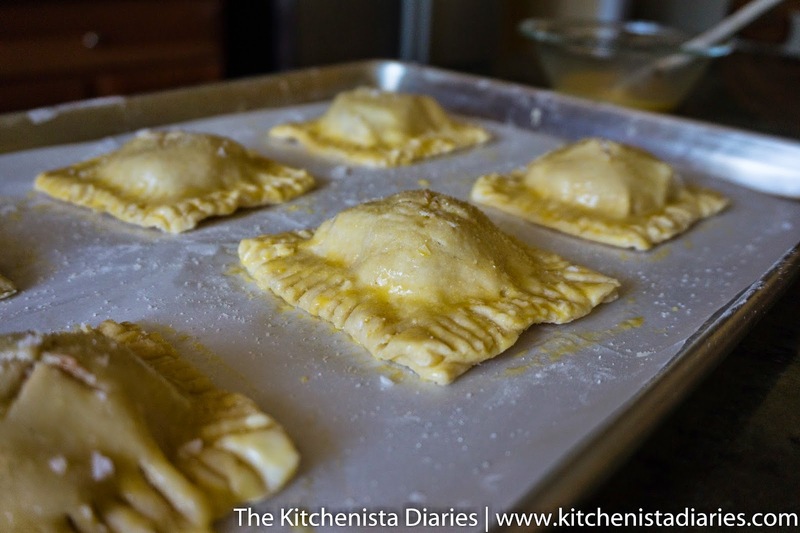 Bake the hand pies for about 25 minutes or until golden brown and firm. Allow them to cool enough to handle before eating. Ha. Yeah right. I definitely burned my tongue on molten hot strawberry guava because I'm really 5 years old inside when it comes to hand pies.